As an Apple product fan, you may have several Apple iOS devices such as iPhone, iPad or iPod. How amazing it is if there’s a powerful iPhone transfer tool to help you transfer files including music, movies, apps and any other media file directly between your multiple devices! Or as to keep up with the continuous upgrading of Apple products, you also need such an all-in-one transfer tool to manage your iDevices better. That’s how we brought AnyTrans to your life, just to make your life easier. AnyTrans?$59.99?is regarded as the best iTunes alternative, which offers iPhone, iPad and iPod management all in one program. With AnyTrans, working pretty well both on PC and Mac, you are allowed to transfer music, movies, apps and any other type of media file directly on you Apple devices, including iPhone 5, iPad mini, iPod touch 5 from/to computer or Mac without iTunes. 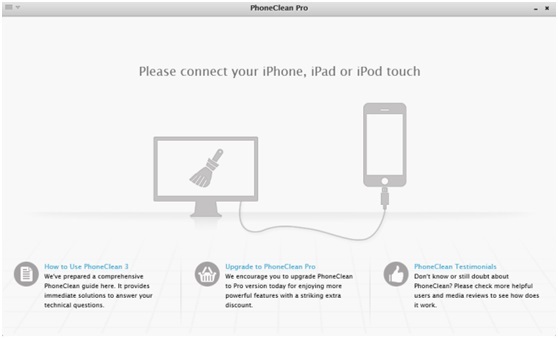 PhoneClean?$59.99?,the ultimate iPhone, iPad cleaning & privacy care solution, boosts up your iPhone running speed and the whole performance with just 1 click. With the help of PhoneClean, which is integrated with over 20 analyzing technologies, you can easily eliminates 30+ types of junk file on your iPhone, iPad, reclaiming 40% – 60% storage space, thus to make your device run like new. To welcome the upcoming Thanksgiving Day, iMobie is offering Unlimited Giveaways of Thanksgiving Edition of AnyTrans & PhoneClean. One is regarded as the best iTunes alternative and the other is the ultimate iOS cleaning solutions on both PC & Mac. Just hit the Participation page, you can easily take away our best-sellers totally for free. Plus, $200 iTunes Gift Card is presented as a little Thank You gift to the participators. Winning is EASY! Just leave one comment on that event page and we’ll randomly pick up four most liked or shared as lucky winners. Try your luck! As time is limited, please HURRY UP? Related to "Time-Limited Giveaways of AnyTrans & PhoneClean"
Do you know how I can download this for free now?